Interested in learning to play one of the world’s most beautiful instruments, the violin? Consider enrolling with Knauer Music School. The premier Los Angeles-area violin lessons School helps Calabasas residents ages 3 and up perfect their craft on high-quality acoustic violin. Teachers are warm, patient experts dedicated to helping students learn more about this amazing violin, and provide lessons surrounding Jazz, Pop, Classical, Cultural, R&B, and other areas of focus. Calabasas is a Los Angeles County city hidden within the hills west of the San Fernando Valley. The city sponsors numerous annual events, including The Pumpkin Festival and The Fourth of July Spectacular, and is the home of many famous entertainers, including Justin Bieber, Lisa Marie Presley, and Toni Braxton. The city is also home to Brandon’s Village, a playground located in Gate Canyon Park that serves the area’s special-needs children. Residents of Calabasas have wonderful things to say about the husband-and-wife team that founded Knauer Music School, as well as the many talented teachers that make the violin lessons school such a beloved part of the community. 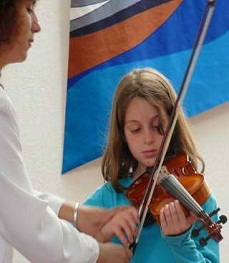 Call (818) 343-7744 for more information more information about violin lessons in Calabasas, CA.